When it comes to staining decks and fences, your St. Louis Painting Contractor Carter Custom Painting can help you refinish, clean, repair, restain, repaint, or even rebuild yours. Homeowners depend on a St. Louis, Mo professional to inform them on the best way to take care of their deck. 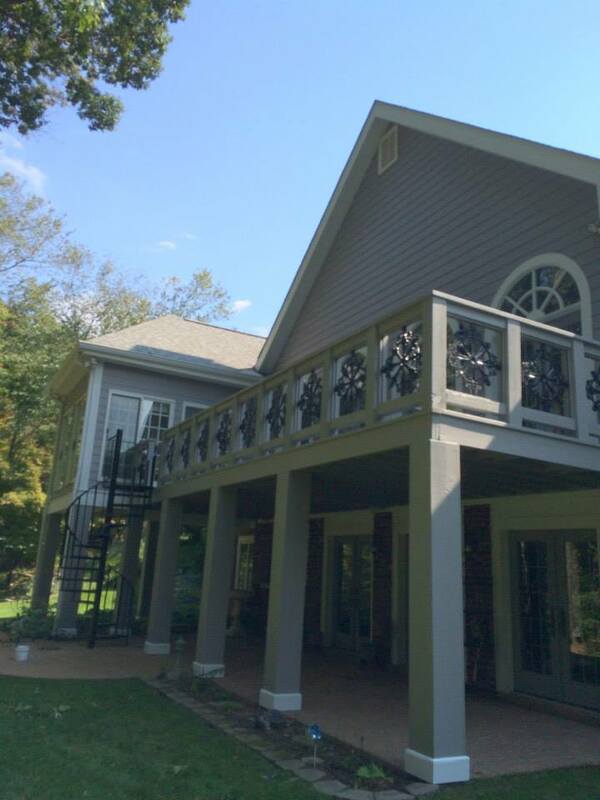 CARTER CUSTOM PAINTING can help you finish or refinish your deck, porch, fence, or other staining project. First of all, PENETRATING FINISHES ARE BETTER THAN PAINTS! We caution against paint or solid stains, even though I am in the painting business to make money, I would rather give my honest opinion and steer you away from painting. Any horizontal surface, especially one subjected to heavy foot traffic, is extremely hard to keep paint on. Even solid alkyd stains,which for years have been recommended, are to brittle and sit on top of the wood waiting a chance to flake. I recommend penetrating finishes, such as semitransparent alkyd stains and wood preservatives which are absorbed into the wood fibers to protect better against mold, mildew, and rot. Even with the best finishes your deck should be recoated every 2-3 years. 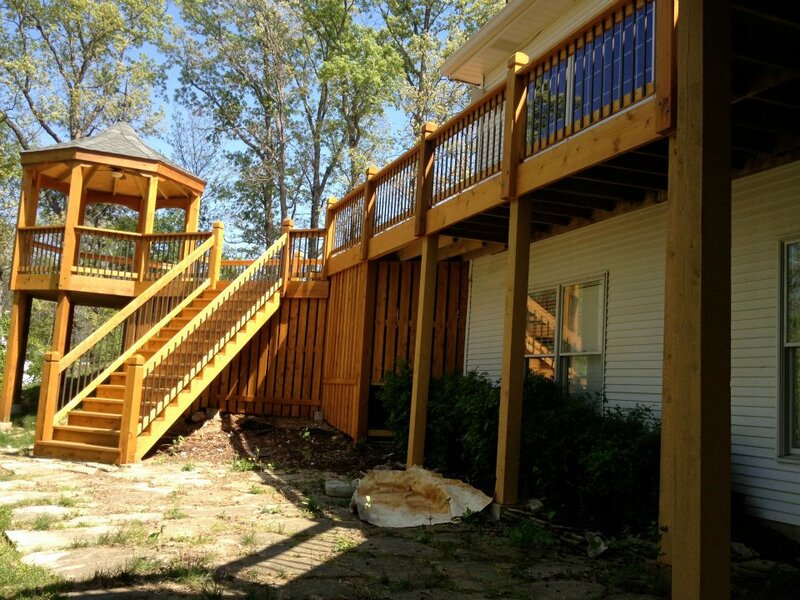 A St. louis Deck and Fence Staining Company that is a cut above the rest! 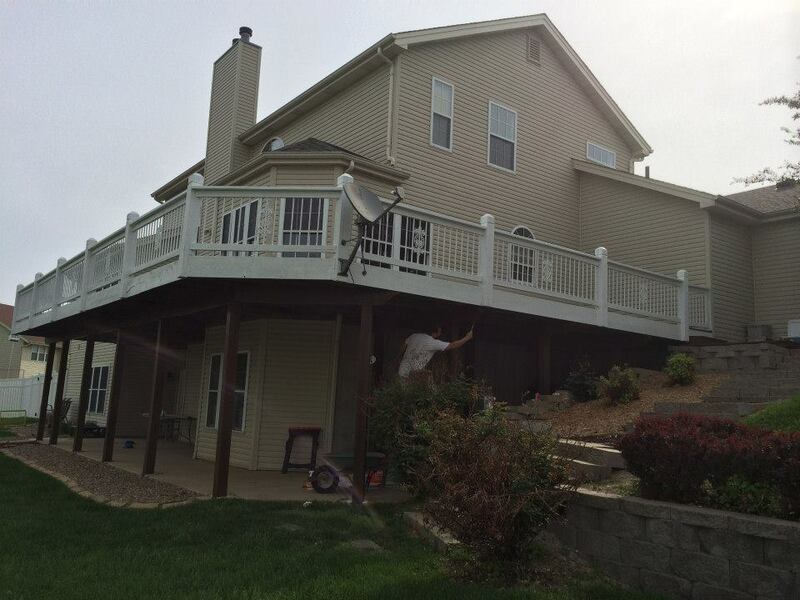 We listen to every detail you want accomplished on your Deck and Fence Staining project! Once we know exactly what you are looking for from St. Louis’s most pristine Painting Company, we will give you honest recommendations and clearly explain what to expect from the services you select. When the contract is signed,and work is being performed the project manager is only a phone call or text away till it is completed. Most the time I am on the job helping complete it or supervising. It takes more than just a fresh coat of stain to make your deck or fence look like new. Our employees know how to properly prepare a surface for staining, understanding that many surfaces require different products for a long lasting finish. We even do custom carpentry, wood replacement, fence repair, power washing, and artistic construction, creativity is our speciality. We want the process to be hassle free for you our customer. Don’t worry about the amount of stain you need, tools, or any mess. That is our responsibility once you sign the contract. We take care of it all in a two day process. Day 1- We cover or move any deck furniture. Then apply a cleaner and pressure wash your deck, fence, playset, etc. Day2-We stain and seal the wood with only premium products that will last for years. Our Guarantee- If you notice anything you don’t like give us a call and we will make it right. 100 percent satisfaction has been the key to our success over the many years we have been in business. Give us a call at 314-757-6973 or fill out our contact form.